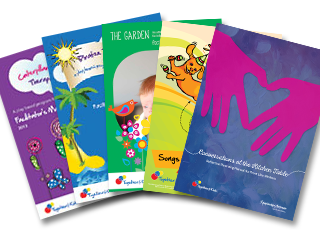 Together 4 Kids have developed a suite of Facilitator’s Manuals for our therapeutic group programs – available for free download. These programs have been developed for children and their parents who have experienced homelessness and domestic violence. Grows a Little is a resource of catchy songs to play to children while they are accessing emergency or transitional services or to play in their own homes. 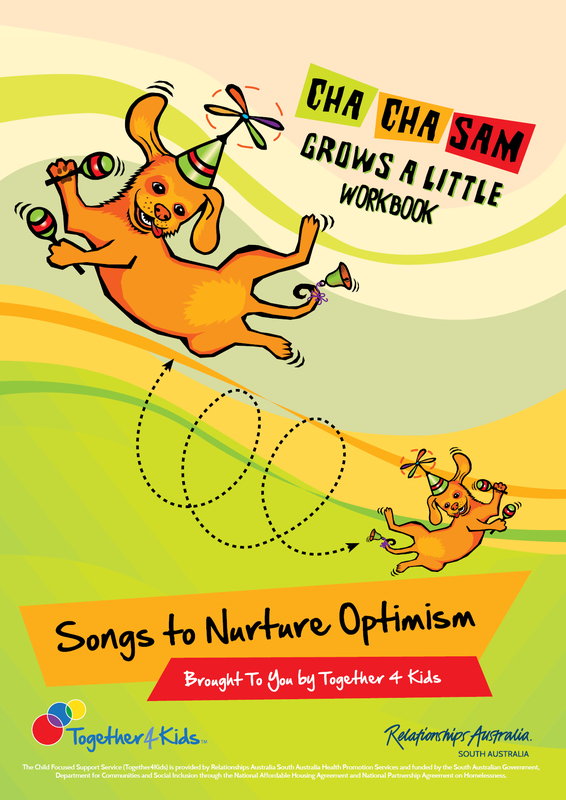 The simple exercises that go with the songs in this workbook, do not require specialist training or specific therapeutic skills. 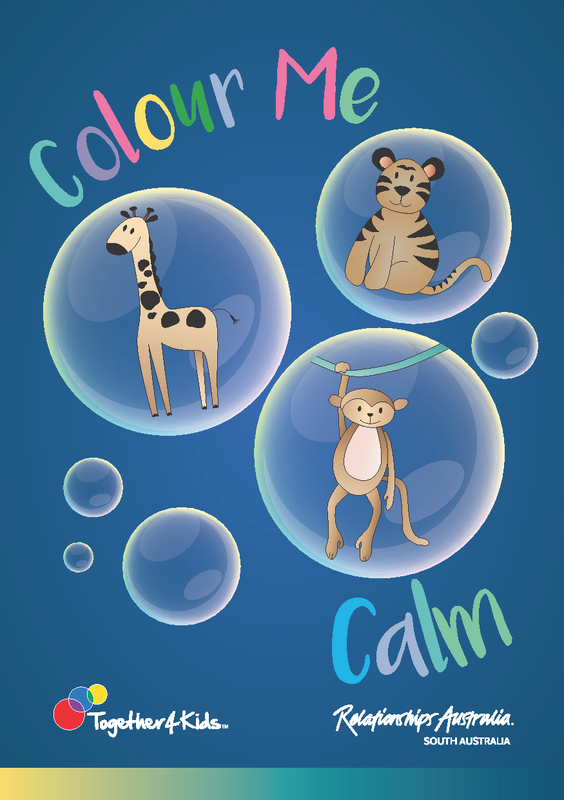 Case workers and children’s workers in the sector can use these songs and workbook to support children in their care by playing and singing the songs and doing the exercises, all without specialist training. Parents can readily go through the exercises with their own children at home. Drawing on the Therapeutic Parenting Programs developed by Relationship Australia South Australia’s (RASA) Post Adoption Support Service, this Reflective Parenting Resource has been designed and developed by the Together4Kids (T4K) team as part of our support for workers in the homelessness and family and domestic violence (FDV) sector. 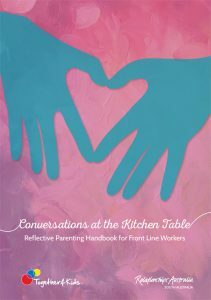 This handbook accompanies the professional development training program Conversations at the Kitchen Table: Reflective Parenting Conversations for Front Line Workers. Tips and Resources for Navigating the NDIS Process when Working with Children is designed for case managers working with children (aged 0-18) within the homelessness and domestic violence sector. It has been produced by UniSA Occupational Therapy students, Lana Feichter and Hazel Paton, in collaboration with Relationships Australia South Australia – Together4Kids. Information for parents about their children and separation. Positive parenting tools for separated parents, extended and blended families. Two Homes is a place for separated parents to access valuable information, resources and tools that can help provide clarity and insight throughout this difficult process. 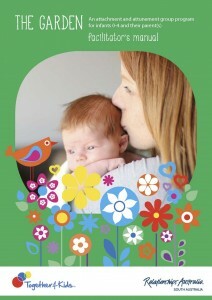 Contains an excellent range of resources on separation that can be downloaded. Publications can also be ordered for free. Canadian website with comprehensive information for parents regarding children and family change. Resources that may assist Aboriginal parents. A national mental health promotion, prevention and early intervention initiative for primary schools. Website developed by services in NSW with separation resources for children, parents and professionals. Activities and resources for those supporting middle and upper school adolescents around separation and divorce. Family Relationships Online provides all families (whether together or separated) with access to information about family relationship issues, ranging from building better relationships to dispute resolution. Also provides details of your nearest Family Relationship Centre. 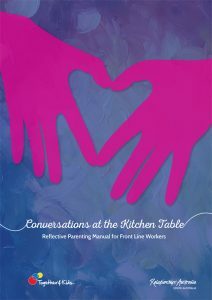 Includes information on family conflict and separation that may affect children’s health and tips on how children can cope. Support for children and families, especially around violence, trauma and abuse. Also provide education and training for the community and professionals (including online training on their website). UK Non-Governmental agency focused on putting children first in family courts. Website includes child friendly resources for children whose parents are separating or divorcing. Dulwich Centre is an independent centre in Adelaide, Australia. Involved in narrative approaches to therapy and community work, training, publishing, supporting practitioners in different parts of the world, and co-hosting international conferences. Offers workshops in popular group programs such as the Tree of Life and Team of Life. Excellent resources from the makers of St Luke’s Resources including Strength Cards for Kids; I Can Monsters Cards; Stones Cards; The Bears Cards and Cars ‘r’ us Cards. Various therapeutic resources to purchase for children and young people. Children’s toys and educational products. ParenTime makes handling your complicated family schedules much easier by helping parents maximize their quality time with their children after a divorce. In the Divorce App, Dr. Woliver uses children’s drawings to illustrate their stories, feelings and needs at each developmental stage, so parents and grandparents can help them deal with the divorce.